Karina's Kreations: Watercolor Wishes Notecards! Time is running our for Sale-a-bration!!! All the Sale-a-bration items are while supplies last. Spring Break is coming and Stampin'Up has a bunch of fun kits that will keep your kids crafting. One of the kits I love is the Watercolor Wishes kit. The kit makes 20 cards, includes an exclusive stamp set, 2 ink spots and a clear acrylic block. All you need is the adhesive. I bought the kit because I wanted the exclusive stamp set. The sentiments are perfect for a variety of occasions. 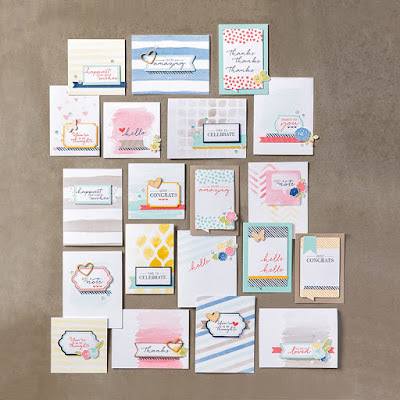 I made these cute cards using the water color wishes stamp set and Whisper White note cards. I wanted to show how you can still use the stamp set and ink spots once all the cards in the kit are made. I love the note cards because they come cut, scored and ready to use. 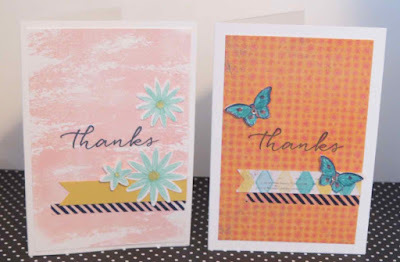 The Blushing Bride card uses the Grateful Bunch stamp set #140691 $26.00 and Blossom punch #140612 $23.50. The background as made with the Watercolor Wash stamp set #139538. 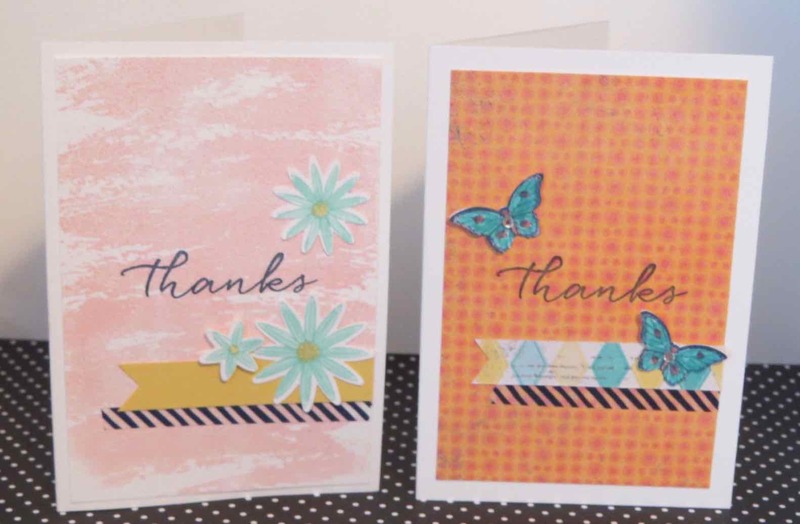 The Calypso Coral card uses the Papillon potpourri stamp set #123759 $19.00 and the Bitty Butterfly punch #129406 $21.50. I also used Cupcakes and Carousels Paper #142744 $12.50 and the Bermuda Bay and Calypso Coral 2 pack of Stampin Write markers #142803 $9.25. If you live in Canada, click here to place an online order!